Exterior Medics had the amazing opportunity to help veterans in need, thanks to Luke’s Wings. Luke’s Wings No Soldier Spends Christmas Alone project provides wounded, ill, and injured service members who are undergoing recovery and rehabilitation with the means to see their families for the holidays. “With our long history of hiring, working with, and supporting veterans, partnering with Luke’s Wings was a natural fit for Exterior Medics,” Joe LeVecchi, co-owner of Exterior Medics, said. The contribution we made helped several families travel so they could spend Christmas together. One of the soldiers served by the donations is a U.S. Army Sergeant who served in Iraq and Kuwait. 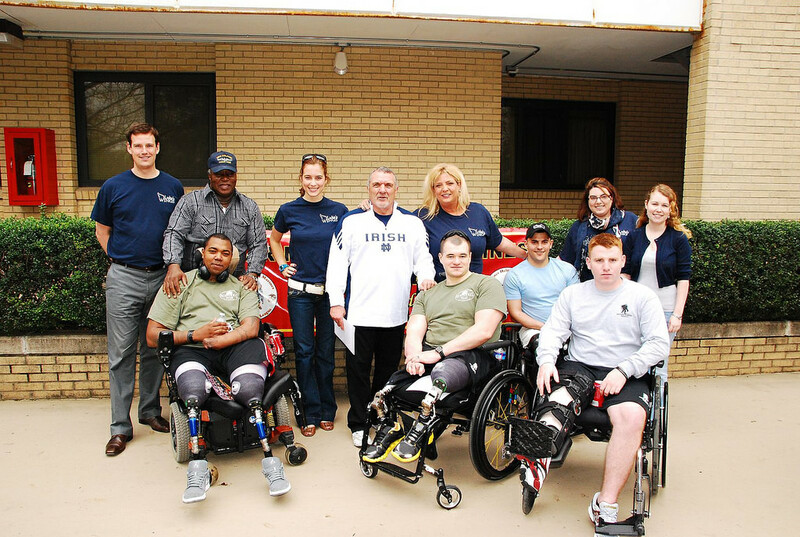 After suffering multiple spinal, rib, and pelvic fractures, he was brought to Walter Reed National Military Medical Center in Washington DC, where his wife relocated to aid him in his recovery. Luke’s Wings was able to fly the soldier’s three children and mother to DC so they could enjoy the holidays as a family. Our donation also helped a U.S. Army Major and his family fly to Florida to spend Christmas with their extended family. After sustaining a traumatic brain injury while deployed in Qatar, the soldier, along with his family, was forced to relocate from Florida to Virginia to receive treatment. Financial strains made a visit back home seem impossible, but with the help of our donation to Luke’s Wings, the family was able to go back to Miami for a much-needed trip. With the help of donations, Luke’s Wings was able to provide 175 flights for families over the holiday season, bringing their total number of flights since 2008 to 4,600 for deserving military families. To learn more about their services or to get involved, visit them online. In addition to providing renovation, repair, and installation services for roofing, siding, gutters, windows, doors, masonry, and more, Exterior Medics also completes many philanthropy projects throughout the year. We were so grateful for the opportunity to work with Luke’s Wings and can’t wait to start our next endeavor. Mark Watson is the owner of Exterior Medics, a company specializing in roofing, siding and window and door replacement in northern Virginia and southern Maryland.